Though the recent election was, to some, a lesson in the dangers of measuring public opinion on a state-by-state as opposed to individual basis, product discovery and reviews platform Influenster was unmoved. To help us with our last-minute gift shopping, Influenster came up with a list of the nation’s top beauty brands as supported by its vast reviews archive. It then conducted an online poll in which it asked 4,065 women nationwide which beauty gifts they’d like to unwrap this holiday season. Last but not least, the company summed up its findings in a festive infographic (above). The verdict? In order of popularity, America’s most coveted cosmetics brands are Anastasia Beverly Hills, Urban Decay and MAC Cosmetics. The brow buff’s devotees hail from New York, California, Florida, Washington, Texas, North Carolina, Maine, Connecticut, New Jersey and Arizona. Urban Decay won big in Nevada, Utah, Idaho and the Great Lakes region. 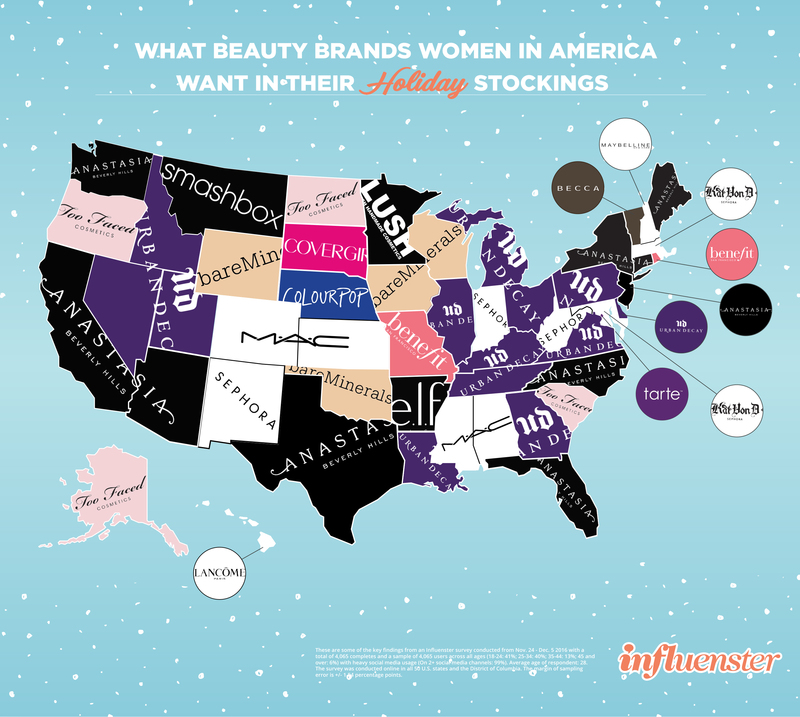 Other brands that divided the popular vote included Too Faced (beloved by Alaskans), Lancôme (a favorite in Hawaii), Kat Von D (Maryland likes a dramatic look), Lush (Minnesotans appreciate a good bath bomb) and Sephora’s house collection (a staple in Indiana, New Mexico and West Virginia). Now in its third year of operation, Influenster is home to over 11 million product reviews evaluating more than 1.7 million products. Its 2.5 million members apparently do not love Tom Ford, Glossier and Bobbi Brown makeup as much as we do. 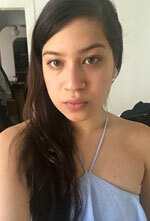 Do these findings align with your beauty views? See the full list here and let us know in the comments below.